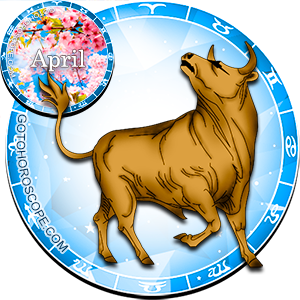 April 2011 Horoscope Taurus, free Monthly Horoscope for April 2011 and Taurus Astrology Forecast for the month ahead. 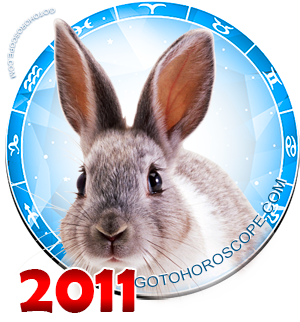 The stars advise Taurus against making crucial decisions April 2011 year of the White Metal Rabbit under the influence of mere emotions, without well thinking over the consequences of his actions. It may be that Taurus, in an outburst of emotion, will break old relationships, leave his boring job, but doubts do not allow him to quickly create new relationships and build business. The conservative Taurus, suddenly wishes to be frivolous, may not be available for viewing many things hidden from view, and so the possibility of him making mistakes in April increases several times. But it will be useful for Taurus to relax in the second half of April because in front of him is a very busy period and sometimes one needs to turn away from one's deeds by giving oneself time to calmly reflect and look at one's own actions and deeds from the side. Although the month is fraught with surprises, there will be no big troubles in the life of a representative of this zodiacal circle. Taurus can regain previously lost opportunities and in the third decade of April catch up with his rivals almost without a fight. It's good that Taurus in April will focus on the opinions of others, but he should, in any case, not try to appease others, do their wishes, or allow them to control his actions. Taurus has the wisdom to take all decisions independently, and there is no risk of loss in this case. This month, Taurus can be able to strengthen his budget, but this time is not suitable for searching for a new job or new sources of earnings. Taurus businessman would invest in his enterprise, in which case the investment will soon pay off with interest. No need risking money in the wrong business or investment. It is not advisable to play in the stock market - this could deprive Taurus a fair amount of previously earned money. Love for Taurus in April 2011 will be very important and necessary. A representative of this zodiacal constellation will have boundless charm and will be able to win any heart. A single Taurus will easily find his/her soul mate in a crowd of admirers and fans. But one should not indulge in non-committal terrible romances. This month, Taurus will be very romantic, but his/her lightheadedness that appeared out of nowhere will be able to undermine the relationship with his/her lover or spouse, which will lead to conflicts and sorting out of their relationship. One should be more attentive to one's partner. 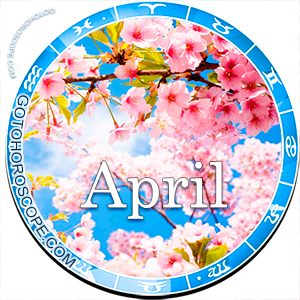 In the third decade of April 2011, it will be a very good time to sort out relationships, which Taurus certainly must take advantage of to maintain his relationship.